Reviewed by W. T. Whitney, Jr. The Communist Party of Chile (CPC), having regained legal status in 1958 and afterwards having collaborated with the Socialist Party, in 1969 joined with the Socialists and three smaller parties to form the Popular Unity electoral coalition. Popular Unity prevailed in the 1970 national elections with 36.2 percent of the popular vote. 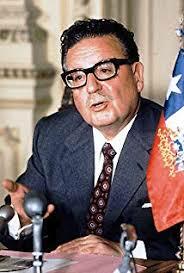 Socialist Party leader Salvador Allende became president and a socialist government took power. That government nationalized copper mines and a number of banks and businesses. It expanded access to health care, education, and housing and promoted agrarian reform, literacy programs, and nutritional assistance. Some parliamentarians belonging to centrist parties initially were supportive. Military plots failed, but destabilization actions eventually damaged the economy. The U.S. government provided military assistance and conspiratorial know-how. Yet Popular Unity gained 43.8 percent of the vote in parliamentary elections in 1973. A military coup on September 11, 1973 deposed the government and took Allende’s life. Killings, torture, and mass imprisonments followed. Surviving CPC leaders left for exile or were imprisoned. They’d been prime architects of the Popular Unity coalition and had participated in the government. Later on, nine of them examined the Party’s involvement with Popular Unity, both in power and earlier. Their individual assessments saw light in 1977 in various issues of the magazine World Marxist Review, published in Prague. In 1978 their reflections appeared together in the book One Thousand Days of Revolution, also published in Prague. Praxis Press in the United Kingdom republished that book in 2018. The subtitle is, Chilean Communists on the Lessons of Popular Unity 1970-1973. The authors have in mind the CPC’s continuing fight against the dictatorship that followed Allende. But their book is primarily useful now for the experience- based insight it provides for political activists generally and for those identifying as socialists. Just as with the Chilean Communists, most socialists in the world today are involved somehow with a politics that is ostensibly democratic, but a politics that enables neo-liberal hegemony. Their story centers on political power. They needed to build upon and expand the power they had displayed in electing Allende. Doing so would allow their government to institute a political program and to survive. Power derives from mass support and so the question of allies looms large in their analyses. For Castillo, “The prime need is to win over the overwhelming majority of the people and then isolate the main enemies.” Gladys Marin, former Communist Party youth leader and later the Party’s secretary general, maintains that only through “mutual understanding with other classes and strata” can the working class maintain its hold on political leadership. That was necessary because the store of working class support had already been mined. On taking power, Popular Unity received support from working class and “middle strata” sections of the centrist Christian Democratic Party. But, as reported by several contributors, far-left forces made demands that frightened those allies. Economic destabilization at the hands of the opposition led to further despair. Allies abandoned the Popular Unity government, returning to their centrist political homes. Increasingly isolated, Popular Unity was at the mercy of opportunists, both of the left and of the right. The authors are short on ideas on regaining support that was dwindling. Likely as not, that was impossible. If so, the authors’ overall focus on building strength at an early stage and on leadership capabilities makes sense. Success in both instances might have translated into protection later on. Leadership problems resulted in difficulties. Castillo, for example, diagnoses weak decision – making “at the local branch level.” Corvalan claims that “certain forms of coercion” should have been used, especially in agrarian reform. He points out that guidance was lacking for workers in management roles in nationalized companies producing goods. Leaders apparently lagged in acquainting new comrades with the long haul ahead of them as aspiring revolutionaries. And old-regime functionaries occupied state bureaucracies and thus stymied leadership proposals for reviving economic output. Rodriguez sees the Communist Party as “the main creative force” within the coalition. He and the others conceived of a vanguard political party leading the working class. None of them, it’s worth emphasizing, cast blame on coalition partners for Popular Unity’s defeat. Corvalan extols the Party’s longstanding alliance with the Chilean Socialist Party. Discussion of using or not using arms to defend the socialist revolution recurs in the book. For Jorge Insunza, “Concepts of the ’peaceful’ and ‘armed’ roads … belong not to the sphere of strategy but to that of tactics, which changes according to circumstances.” Orlando Millas cites “a vast variety of forms of struggle.” Corvalan envisions “democratization of the military institutions.” Others call for recruiting leftist soldiers to their side. There is mention of the Communist Party and/or Popular Unity developing a military force. In their sections of the book, Rodrigo Rojas and Manuel Cantero focus on U.S. assistance in the form of military aid and collaborative plotting for destabilization. 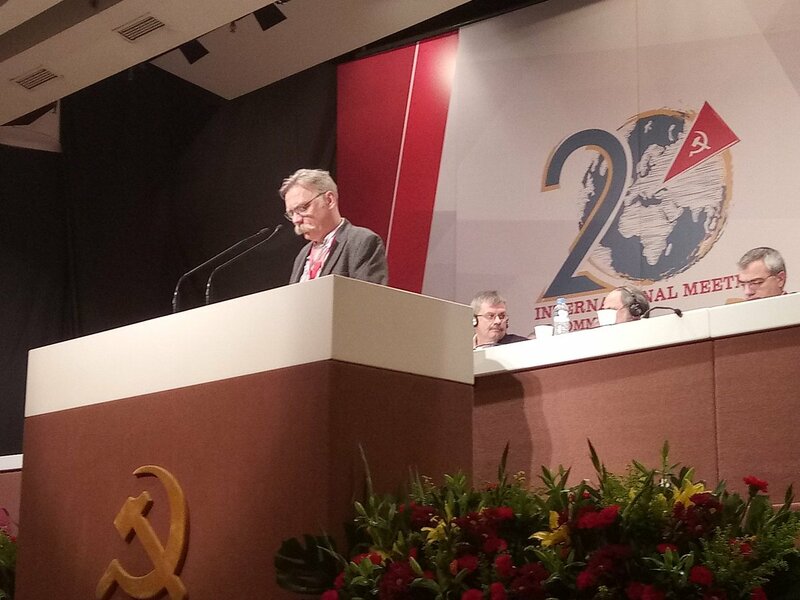 Rojas highlights the CIA-assisted campaign of “psychological terror” consisting of economic blockade, media manipulation, and anti-communist propaganda. Cantero surveys U.S. military and intelligence cooperation with Chilean counterparts in promoting fear and hatred. Some of the solutions proposed in the book border on wishful thinking, particularly those few that were offered in response to the deteriorating military and economic situations. Commentary in the book instead finds lessons for the future evolving out of earlier stages of coalition development and of moving toward power. That setting is where strategizing appropriately takes place on the aforementioned issues of alliances balanced with ideological purity and of armed struggle. They are of concern to socialists today. The authors deal with each from the vantage point of hard realities they themselves had experienced. That’s a perspective often missing in present-day discussions on these subjects taking place in comfortable circumstances. Latin America: Beginning of a New Era?